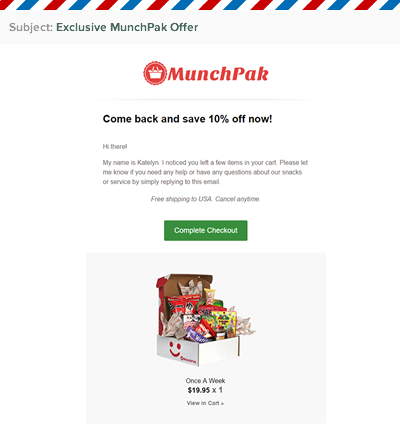 Send targeted, responsive emails to shoppers who abandon your store. We've recovered in lost revenue since 2015. Intuitive drag-and-drop email builder. No coding necessary. Segment and target your customers. Easiest segment builder ever! Meaningful and actional analytics. Free forever. 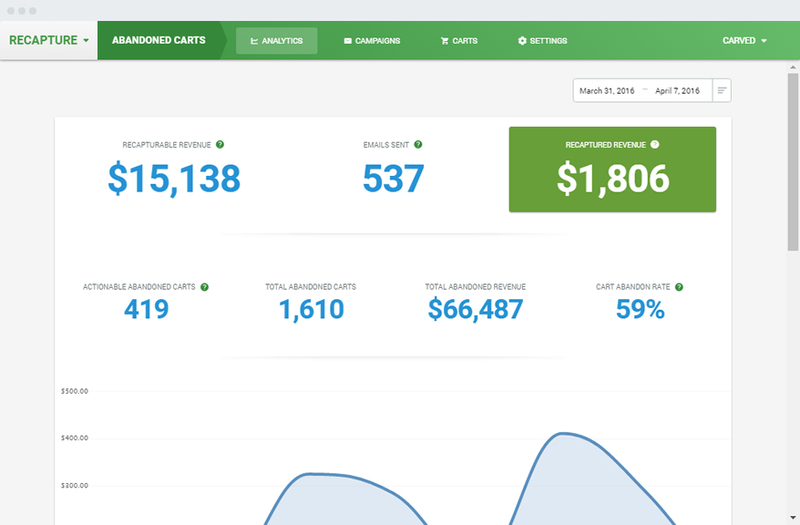 Live overview of all cart activity in your store. Past & present. Awesome service! The ROI makes this a no-brainer. 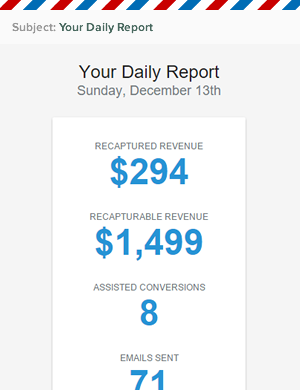 Recapture is super easy to install, has a great user interface and all at a very fair price. Recapture consistently recovers 10-14% of revenue lost through abandoned carts. Fantastic ROI. You get these features for free. Forever. You get these features free for 15 days. No credit card required. 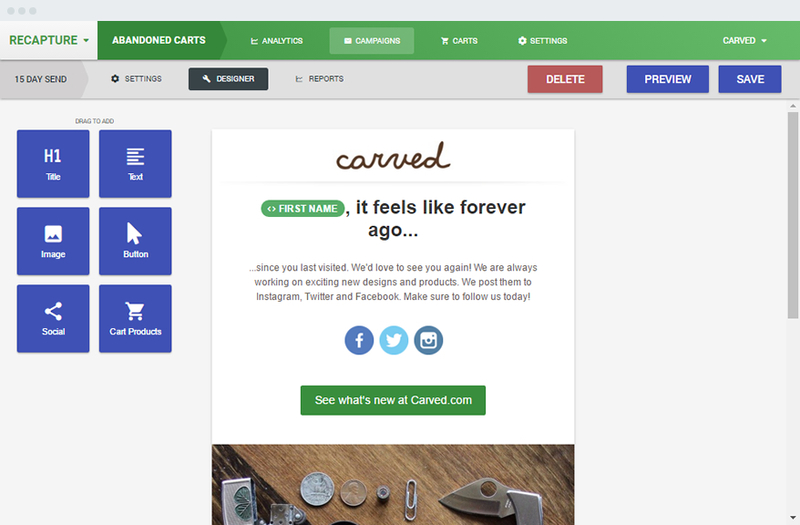 Automatically send personalized, responsive emails to customers who abandon their shopping cart. Every email includes links that regenerate the customers exact session on your store, regardless of the device they are on. If you get more than 5 orders per day, turning this service on will generate additional revenue for you. 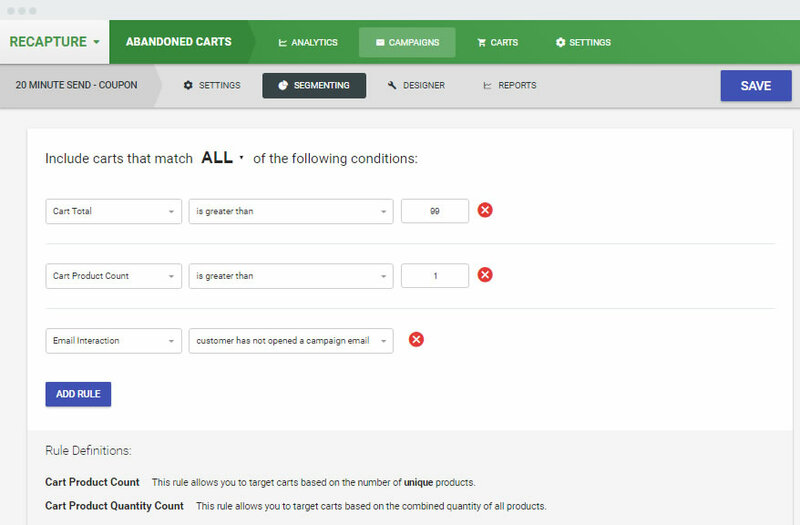 Build segments for each campaign to send highly relevant and targeted emails to each customer. Sending relevant emails will result in higher open rates and more conversions. Segments are intuitive and quick to create! 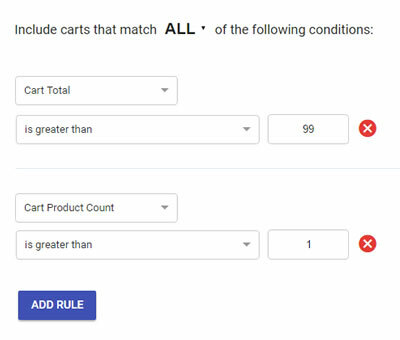 Deploy a fully responsive email collector popup to build your email list and help identify more carts. 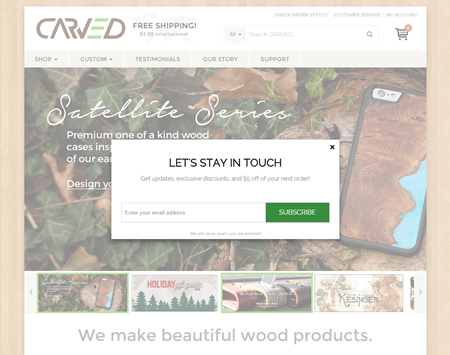 Choose from our customizable templates or provide your own, then decide exactly when and where to show a popup to each customer. Setup Exit Intent popups to appear when a user is about to leave your store. Collected emails can be automatically synced to MailChimp in the background. Spend 5 minutes setting it up, then never worry about it again. Compatible with Google's new requirements for mobile interstitials and popups. Stay in the loop with daily, weekly, or monthly email reports. All the numbers you care about, delivered right to your inbox. Behind-the-scenes compatibility with all currencies. Our currency compatibility is totally automatic. Any emails sent to your customers will use the currency they browsed your site in, and you don't have to set up a thing. It just works. Setup a fully translated email in your customer's language. 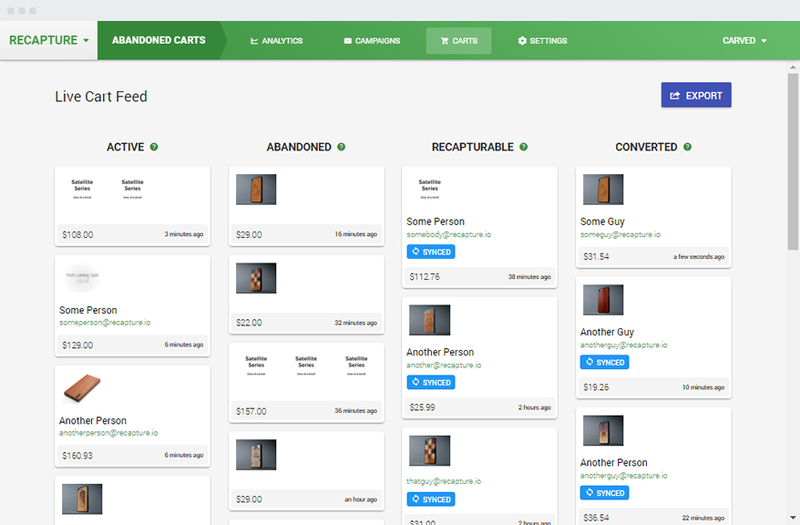 Our free abandoned cart plugin installs in minutes and begins gathering data instantly. 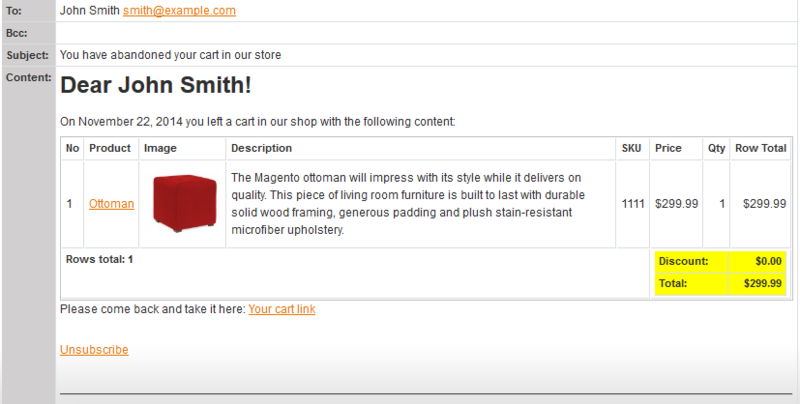 No core Magento files are changed or overridden, and it uninstalls gracefully.